The Little Old Lady Who Cried Wolf is a new twist on the old the boy who cried wolf story (you know he kept telling people there was a wolf after the sheep when there wasn’t, so people stopped believing him, then nobody believed him when there was really a wolf). It features an old lady who has everything a woman could ever want except friends. She is lonely so starts making calls to say there is a wolf in her house- just to get people to visit her. Of course she is soon found out and nobody can stick around. The Little Old Lady Who Cried Wolf toddlers new favourite book, they find it absolutely hilarious for the most simple reasons. She says “Oh rats!” (and variations) several times and apparently this is so funny that the children have to roll around on the floor laughing. They also love the idea of an old woman being naughty. 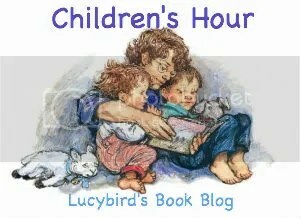 Look out Later Today for a Children’s Hour Giveaway! Thanks for the helpful review. I will definitely be back to read more. At my blog, I just posted a few of my favorite Christmas books I read to my children. I’d love for you to stop by and check them out and maybe add a few of your own recommendations in the comments.